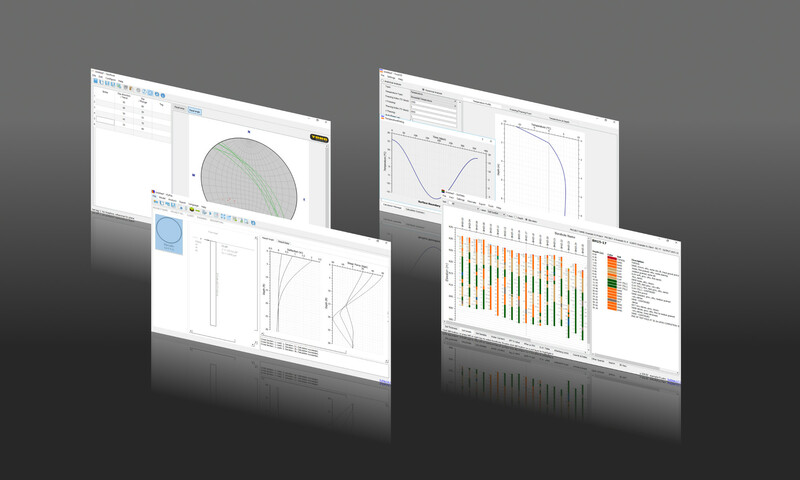 The parameters of this function are specified by users or obtained from current and upper soil layers. The function returns lateral force P based on the deflection y and its user-defined p-y model. We are pleased to announce the first release of PyPile 0.1.0. PyPile is a free lateral pile analysis program. Users can customized output Excel charts. Soil profile with pile sketch can be exported to PNG or SVG image. PyPile is available here. Please feel free to let me know your thoughts. I am very happy to announce that GeoRose 0.3.0 now is available. GeoRose 0.3.0 is a completely rewritten version. 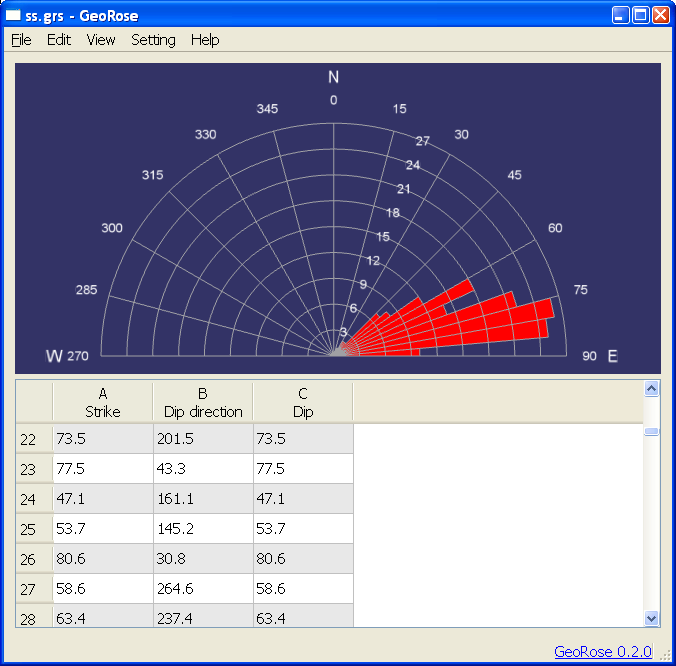 Now users can completely control their rose diagrams’ displaying style. Supported image export formats extended to PNG, PDF, PS and SVG. Furthermore, transparent diagram background is available. With this function, overlaying rose diagram on top of other image files becomes a piece of cake. GeoRose 0.2.0 is released today. GeoRose is a standalone program, which can generate rose diagram without python dependency. 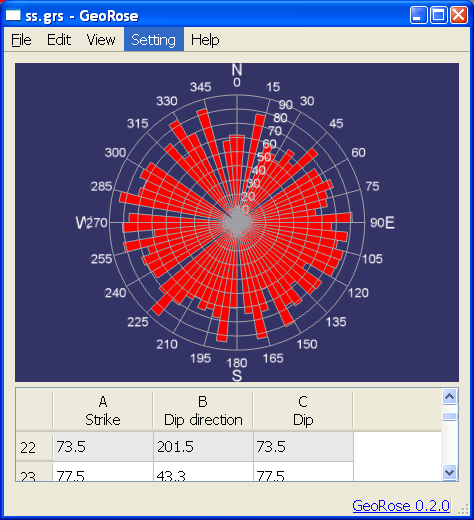 1. generate diagram of strike, dip and dip direction. 2. export diagram as png format file. 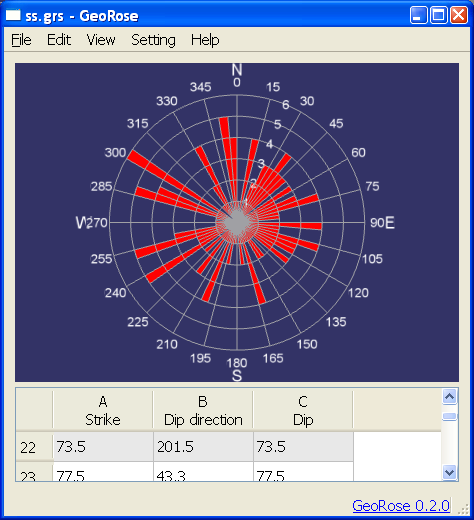 3. calculate strike from dip direction. If you don’t want to code by yourself to draw geology rose diagram like the example shown by my python code, a stand alone program is coming soon to save your time and headaches. Some of the screen copies are posted here to let you know how it looks like. Basically I used the same framework as the one I used in PointLink. I am going to add more functions later in this program to let you have more freedom.